The process of adding an application to Dashboard is very simple. At first, sign up in our system. Then open your Dashboard, and you can see two buttons "Add application". Click on the button "Add application". Then you see the window "Adding application". You enter the name of the application or insert the link of the app. And then you choose the app and click it. Add suggested keywords or remove mark "Add suggested keywords". 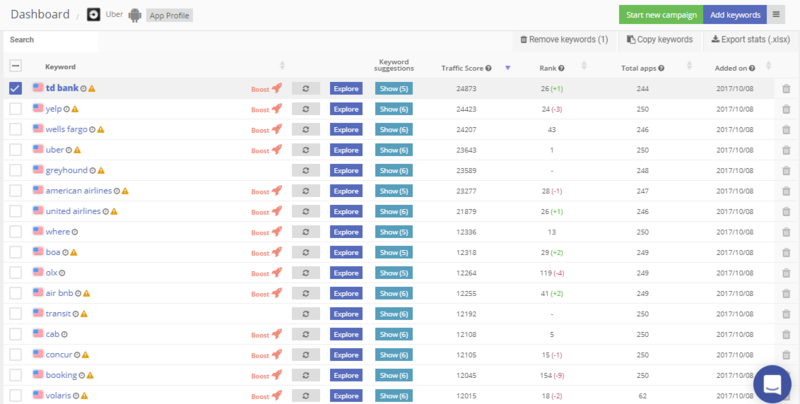 If you choose to add suggested keywords, after adding the app you will see few keywords in the tab "Keyword Analytics", which are appropriate to your app. Put a mark "To Favorites" and you will see this app on the first place in your Dashboard. The last step is to click on the button "Add application". After all of the steps your application should open immediately. There are keyword graphics, you can see them for iPhone and iPad. This is the chart of keywords. 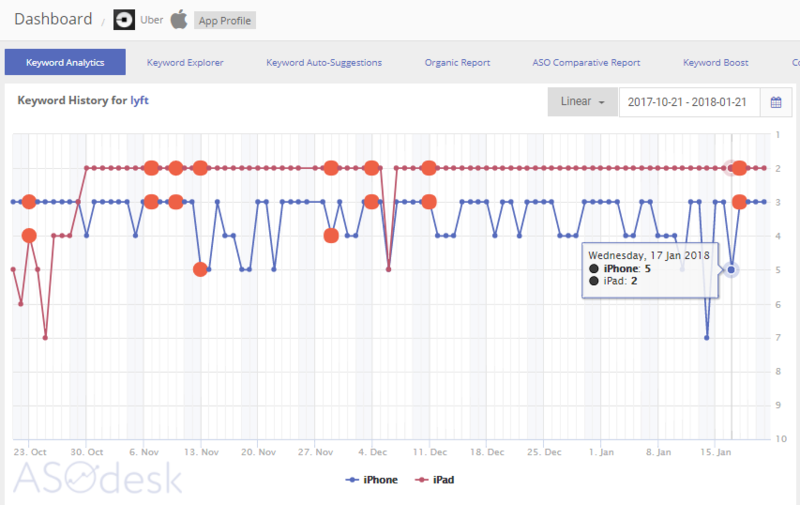 For iOS, you can get data on Traffic Score, Search Ads Popularity, iPhone Rank, iPhone total apps, iPad Rank and Added on. For Android, you can see Traffic Score, Rank, Total apps and Added on. If you have forgotten to put the mark "To Favorites", which takes your app on the first place in your Dashboard, click on the icon "star" in Dashboard, where all of the applications exist. If you want to delete an application, click on this icon "cross". Also, you might be interested in to what are the limits of your plan. If you click on your email, you will see information about Plan your plan limits. 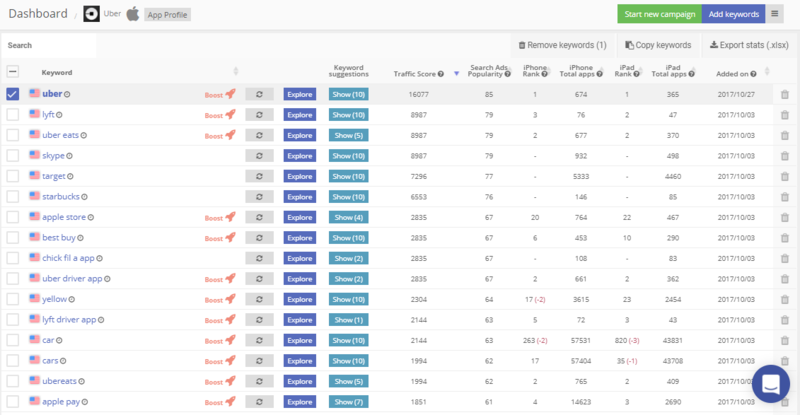 Here you can see quantity of added keywords and your added apps at the moment as well as the name of your Plan.